Constantly update to support the latest copy protections. Rip all DVDs to AVI, MP4, MPEG, WMV, iPhone, iPad, etc. Backup DVD to hard drive and USB within 5 minutes only. Built in video converter, DVD burner, online downloader. Support Multi-track M2TS, MKV, AVCHD, BDAV, MPEG-TS. Convert video to iPhone, iPad, iPod, PSP, PS3, Xbox, etc. No.1 fast DVD ripping solution to rip DVD to mainstream videos including AVI, MP4, MPEG, WMV, MOV, FLV, 3GP, etc. By removing all DVD Copy Protections and region locks, this software makes all types of DVDs seamlessly compatible with iPhone, iPod, iPad, Apple TV, Zune, Mobile phone, PSP, Zen, etc. The built-in DVD Copy feature empowers you to backup DVD to hard drive and USB with original Video, original 5.1 Channel AC3/DTS Dolby Audio within 5 minutes. Almighty video software embedded with 210+ video audio codecs which makes it possible to convert almost all video formats available. Independently convert between MKV, AVCHD, M2TS, AVI, MPEG, MP4, H.264, MOV, WMV, Google TV, WebM, Vpx8, etc. 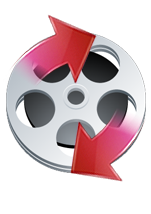 Convert and transfer various videos to iPhone, iPad, iPod, PSP, PS3, Xbox, Android, Mobile phone, etc. Users can benefit from up to 15x real time converting speed and highest possible quality. 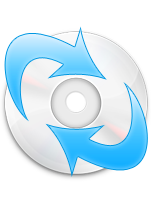 First-rank DVD ripping and DVD backup software for Mac OS X. Bypass all copy protection system with ease. Convert DVDs to MP4, H.264, MOV, FLV, iTunes videos for playback on Apple iPhone, iPad, iPod, Apple TV, QuickTime Player or for further edition in iMovie, etc. Make 1:1 DVD copy to Mac computer. Support both PPC and Intel Mac. 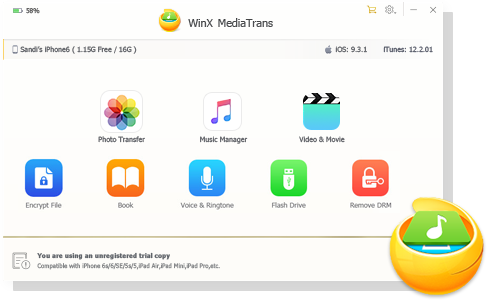 Feature-rich video converter software designed for Mac OS. Build in cutting-edge video encoding engine. Convert MKV, M2TS, AVCHD, H.264/MPEG-4 AVC, AVI, MPEG, MP4, MOV, FLV, RM, RMVB, WebM, Google TV to the videos accepted by Apple iPhone, iPad, iPod, Apple TV, QuickTime Player, PSP, PS3, Zune, Xbox, etc. Ideal software to rip and sync DVD to iPhone (iPhone 3G/3GS, iPhone 4/4S, iPhone 5/5S/5C, iPhone 6/6 Plus), iPad, iTunes, Apple TV and Mac videos. Based on High Quality Engine and advanced De-interlacing, it delivers remarkable image quality which is near original movie. The software comes prepared with sets of profiles to maximally simplify the ripping process. A complete solution for playback diverse videos on iPhone (iPhone 3G, iPhone 3GS, iPhone 4) among popular HD videos MKV, AVCHD (MTS, M2TS), MOD, TS and regular videos AVI, MPEG, WMV, MOV, FLV, RM, RMVB, etc, with powerful video encoder built in. It also supports iPod classic, iPod touch, iPod nano, iPad and Apple TV (HD). Create self-made DVD is actually a piece of cake. With this DVD authoring software, you can painlessly convert and burn a wide range of videos to DVD, such as MP4, AVI, WMV, H264, MPEG, RMVB, RM, MOV, ASF, etc. The internal versatile video editing tools let you make personalized DVD with DVD menu, chapter menu. With this smart DVD backup software, you can copy your precious DVD collections to blank DVD disc to prevent any damages. It could shrink a dual-layer DVD9 to one DVD5 with no video degradation. All special features, menus, subtitles and language in the original DVD can remain untouched. Support all protected DVDs.